Texas agreed Wednesday to terms that will weaken its voter ID law and that lawyers suing the state say will make it easier for minorities to cast a ballot in the November general election. Texas struck a deal Wednesday that will soften its voter ID law for the November general election — a development that lawyers suing the state say will make it easier for minorities to cast their ballots. The state reached the agreement with the U.S. Department of Justice and minority rights groups just a few weeks after a federal appeals court ruled that Texas’ 2011 voter identification law was discriminatory. Under the new terms, registered voters will be able to vote without a photo ID, according to a copy of the rules provided by the state attorney general's office. Those without an ID can sign an affidavit that certifies they are a U.S. citizen and present proof of residence, such as a utility bill, bank statement or paycheck. Texas must provide such affidavits in English, Spanish, Chinese and Vietnamese. The terms, which still must be approved by U.S. District Judge Nelva Gonzales Ramos before they are finalized, also say election officials cannot question Texans lacking identification. “This is a huge improvement from what the law was before,” said Luis Vera, one of the attorneys in the lawsuit against Texas. Though the deal should answer questions over how Texas will administer its next elections, it will not end legal wrangling over the 2011 rules, known as the nation’s strictest, which have cost state taxpayers more than $3.5 million. 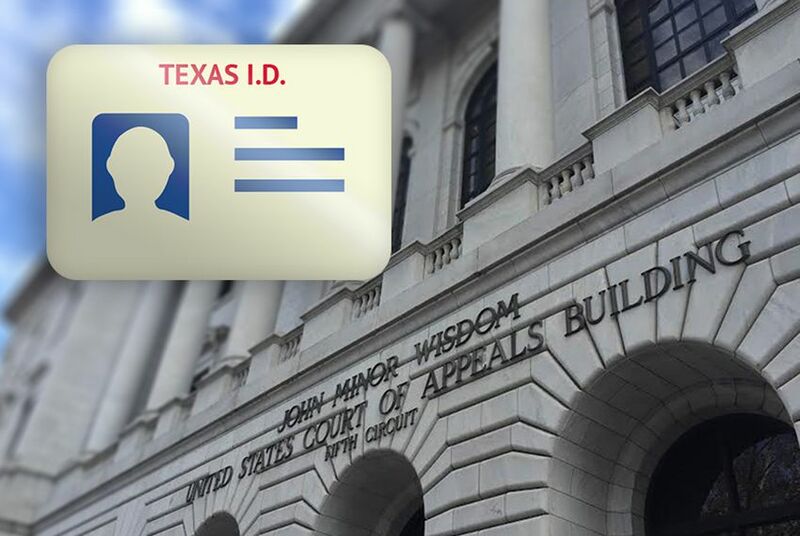 Gonzales Ramos must still weigh a major issue that the U.S. 5th Circuit Court of Appeals left unresolved in its ruling last month: whether Texas lawmakers intentionally discriminated against minorities in passing the ID law. Proving intentional discrimination is difficult, experts say, but the impact of such a ruling could be severe — potentially landing Texas back on the list of states needing federal approval to change their election laws. Meanwhile, Texas officials have said they will continue to fight to uphold the 2011 law, possibly by appealing the decision to the U.S. Supreme Court. That law had a strict list of acceptable photo IDs that opponents argued disenfranchised poor and minority voters. Proponents of the law said it was needed to bolster security at the ballot box by preventing voter fraud, even though in-person voter fraud is incredibly rare. There had only been two convictions for fraud out of 20 million votes cast in the decades before state lawmakers crafted the law. The new agreement is only a temporary remedy, the Texas attorney general's office said in a statement. “The U.S. Supreme Court said that voter ID is a legitimate means of preventing voter fraud, and Texans widely support it to defend the integrity of our elections," the statement said. "This case is not over. In light of the Fifth Circuit's recent decision, we are working hard on saving all the important aspects of our voter ID." Chad Dunn, a Houston-based attorney who represented groups suing the state, said the new rules will allow more black, Latino, poor and elderly Texans to cast a ballot. These were the groups most affected by the 2011 voter ID law, Dunn said. Now their votes will be counted immediately. "I'm confident this law opens the voting booth to everyone," Dunn said. Under the old law, voters without a photo ID could cast provisional ballots that would only be counted if the voter presented a valid ID within six days. The burden has now shifted to the state, Dunn said. Election officials can only challenge a vote if they have conclusive evidence that the person is not who they say they are. Texas will also be required to spend $2.5 million on voter outreach before November, roughly the amount it spent ahead of elections in 2013 and 2014 when the voter ID law first took effect. Voter ID opponents suggest more resources are needed to educate would-be voters across Texas, and they will closely scrutinize the state’s plans. Under Wednesday’s agreement, Texas must spell out those plans, which are subject to court approval, by Aug. 15. Alicia Pierce, a spokeswoman for Secretary of State Carlos Cascos, said the office would tap funds already earmarked for broader voter education programs. That means the required $2.5 million in spending should not be considered "new money."